It’s not easy to sit down and write something different every day. There’s times when you sit staring at the screen with simply nothing to say. surely there must be something that will give you some inspiration. Come on! It’s Spring, we must have a decent pic of an April shower. Oh no! It’s all blurred. Well, what about some daffs now that they’re in flower. 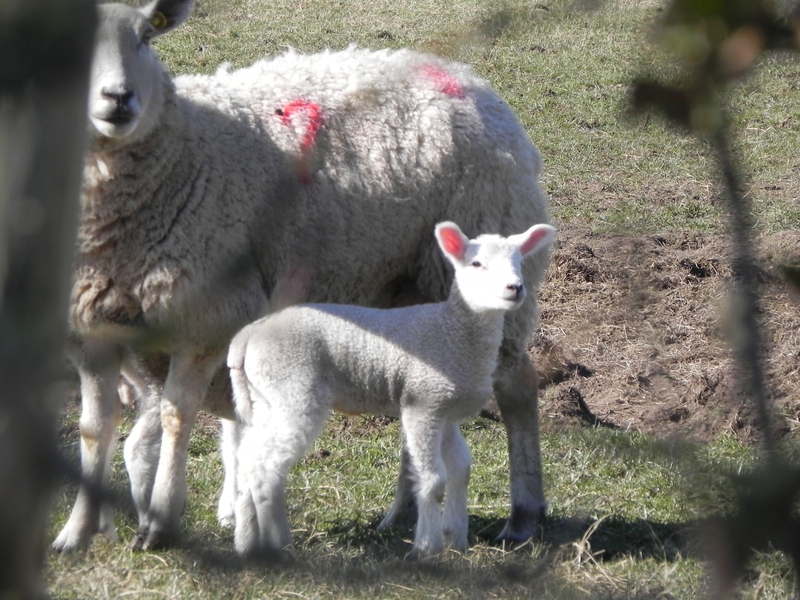 perhaps down by the beck, with a bit of luck, there might be lambs in the field. Phew! Saved by a lamb. Who would have thought it? Might as well mention the sheep if you’re going to mention the lamb! Keep an open ear…sometimes inspiration comes in conversation with another person!